Thank you everyone for your warm wishes! I'm humbled and overwhelmed by the Community response. I really appreciate it! You guys are awesome! This giveaway went much bigger than I initially expected, mainly due to CCP posting it on EVE Online facebook page. But enough rambling, I'm sure you're curious who the winners are. Contracts are already up in game. Unclaimed prizes will be raffled once more. Eminently fair and well-done. Thanks and congrats to all the winners. Thanks for the prize!! Happy 10th buddy! LMeve dev-blog: Killboard with WebGL ship preview » « 10th Anniversary Giveaway! Could games like Valkyrie be released on mobile? 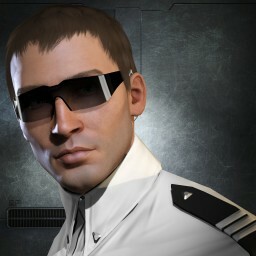 CCP: What race should be the next Tier 3 BC? Players: Gallente!